Welcome to "FASTO ENGIEERING PVT LTD."
Established in 1990, FASTO ENGINEERING PVT. LTD. has been doing pioneer work in the manufacture of hydraulic cylinders with state of art production facility at THANE, West India and with our stringent adherence to International Quality Standards has made us create a niche of our own, in this highly dynamic & competitive field. FASTO is catering to needs of all leading OEMs in India & abroad, has become a name to reckon with it since the time of inception. Our eye for detail and constant innovation has seen us come with quality cylinders, matching international standards, catering to the needs of Earthmoving Equipment industries, Plastic Machine industries, Construction Equipment industries, Material Handling Equipment industries, machinery tools & in various other industries wherever automation is required. Our asset & strength is our team of highly qualified & competent resource untiring toil & shared vision always ensures customers delight. 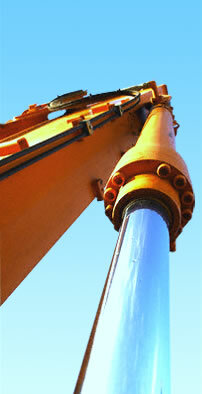 Our commitment to maintaining Quality Standards ensures longevity and reliability of our systems. We have the strength of well qualified engineers, junior engineers, technicians & staff in the various units such as Marketing, sales, Design, Production, Quality Control, Erection & After Sales service. 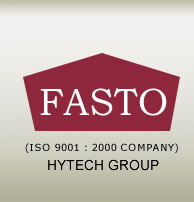 All Copyright © 2009 fasto Engineering Pvt. Ltd.. All rights reserved.